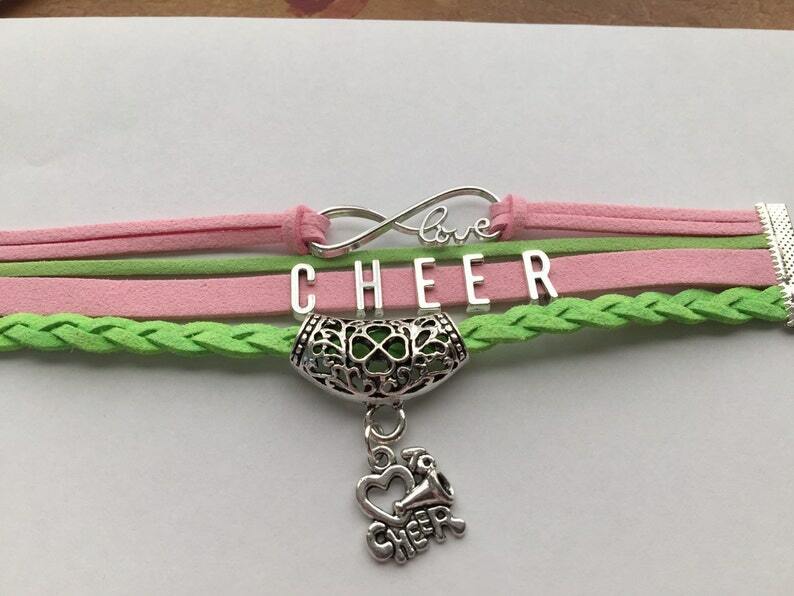 I will customize a CHEER bracelet for you. Please leave full details of colors you would like. Perfect for Cheer Leaders and Coaches! This bracelet takes 1-2 weeks for delivery. The pretty Cheer Bracelet came before Christmas!!! It had to travel all the way to Cali...A “Big” thanks to Sports Team Bracelets!!! ♡♡♡ we loved it so much I placed an order for a 2nd one the day we received it and ordered 2 basketball ones!